Fireplace vs Firepit. Which is Better? 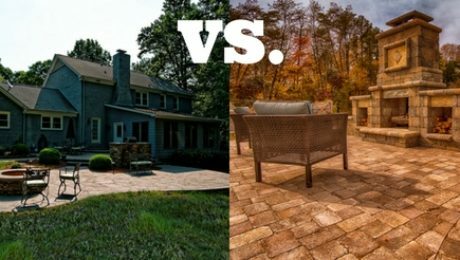 Deck or Patio? Which is Better for Me? What Does Poison Ivy Look Like and How Do I Treat it? Project Details: Location: Greensboro, NC Budget: $ Duration: One Day Materials: 20 yards of Dyed Brown Mulch Greensboro Mulch Installer Mulch is the biggest bang for your buck when it comes to landscaping. Not only does it boost curb appeal, but mulch has many benefits to your landscape as well. You can read about those benefits HERE.